Faithful Beginnings at Saint Peter Catholic School is a nationally accredited and state licensed preschool and childcare program. Enroll your child in our program for up to five days per week or as few as two days. Children may attend half days, 9am-12noon, or full days. At Faithful Beginnings at Saint Peter Catholic School we nurture the spiritual, social, and intellectual growth of our young learners through engaging learning experiences guided by our knowledgeable and dedicated teaching staff. It is our mission to provide an early childhood experience for children and families that is at its foundation rooted in the love of Christ. Our goal is to work in partnership with families to support young children in building the foundation of their educational beginnings. Early childhood is a special and unique time in a child’s life. A child’s experiences at this time can have a lasting impact on his/her potential and future. As early childhood educators at Faithful Beginnings at Saint Peter Catholic School, we have the responsibility to provide each child with a safe and nurturing environment that will lay the foundation for future learning. We are committed to helping young children develop foundational skills: joy in perseverance, cooperation in play, respect for differences, self-sufficiency, and overall physical well-being. Faithful Beginnings at Saint Peter Catholic School offers full and half-day sessions. Specific projects and activities may vary from class to class, but the same themes, objectives and goals are carried through consistently. Children are engaged in music and movement activities, phy ed instruction, drama, and art experiences along with buddy activities with our school children and on and off site field trips. 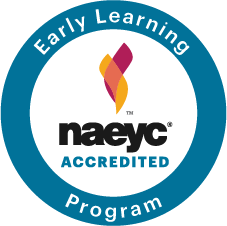 Our program is proud to have earned NAEYC Accreditation – the mark of quality for early childhood education programs. 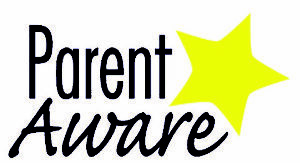 The state of Minnesota has recognized Faithful Beginnings at St. Peter’s with a 3-Star rating from Parent Aware. We are always striving for excellence in serving young children and families, preparing children for school and life.